How to announce your divorce to your child ? 2houses | How to announce your divorce to your child ? How to announce your divorce to your child ? 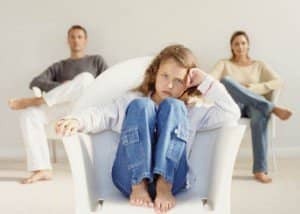 Are you prepared to tell the children about your divorce or separation? While the conversation will be difficult, it’s also an opportunity to let them know, first and foremost, that you love them, and to demonstrate that – as a family – you’re going to meet their needs and answer their questions. These guidelines will help you prepare for this event. Please note that you should be absolutely certain that the divorce or separation will actually happen before you tell the kids. Once that has been determined, consider the guidelines below. 1. Confer with Your Former Partner Before You Tell the Kids About the Divorce. For the sake of your children, put aside the hurt and anger you may be feeling, so that you can make decisions together about the details you’ll need to tell your children. If you don’t have this conversation beforehand, you may end up having it in front of or through your kids, which wouldn’t be fair to them. If it’s extremely difficult to speak with one another, consider using the services of a mediator or counselor, or invite someone you both trust to help you work out the details. 2. If at All Possible, Both Parents Should be Present When Telling the Kids. This sends an important message to your kids that you’re both capable of working together for their benefit. In addition, you’ll want to tell all of the children at one time. It’s important that each child hear this news directly from mom and dad; not from the sibling who heard it first. If your kids are different ages, plan to share the basic information at the initial gathering, and follow-up with the older children during a separate conversation. 3. Remain Calm and Avoid Blaming. The manner in which you present this news to your kids will, in large part, affect the degree of their anxiety and whether they anticipate a positive outcome for themselves. If the meeting becomes a screaming match, your kids will be far more unsettled about what is happening. Instead, avoid the tendency to assign blame or say whose “fault” this is. To the extent that you can, try to incorporate the word “we” when you’re explaining the decisions that have been made. It is not important, or even appropriate, that you provide specific details about why you are planning a divorce. However, your kids will want to know why this is happening. Older children will recognize that this is a huge life change, and they will weigh that change against the reason you give them. So while you don’t want to share details of a personal nature, be prepared to give some type of general explanation. Your kids will want to know where they’re going to live, with whom, and what about their lives is going to change. You can help your children to be prepared for these changes by being honest about what you know, and what you don’t know. The more you can tell your kids about where the departing parent will be living and when they will be seeing him or her, the better. They’ll need to know, right away, that they will be able to maintain a quality relationship with this parent, even though they won’t be living under the same roof. Your children will need lots of reassurance that the divorce is not their fault. Specifically tell them that nothing they did could have caused – nor prevented – what is happening. In addition, make sure both parents collectively and individually convey thier unconditional love through words and actions. Avoid making long-range promises about an uncertain future. Instead, stick with the assurances you can make for the present time and be generous in sharing your hugs and affection. Most likely, the children will have many questions. To the extent that you can, be honest and clear in your responses. If you don’t know the answer to a question, tell them that. Also, realize that this conversation will unfold in many parts. After you’ve told the children about the divorce or separation, expect to revisit the topic many times as new questions and concerns arise.